Honor had a great 2018 with many devices in the budget segment, mid-range segment, and the flagship segment. Honor 8X was one such successful mid-range smartphone from Honor. It packed a powerful Kirin 710 processor, 20MP camera and more at a competitive price. But the phone had some major concerning issues since launch. 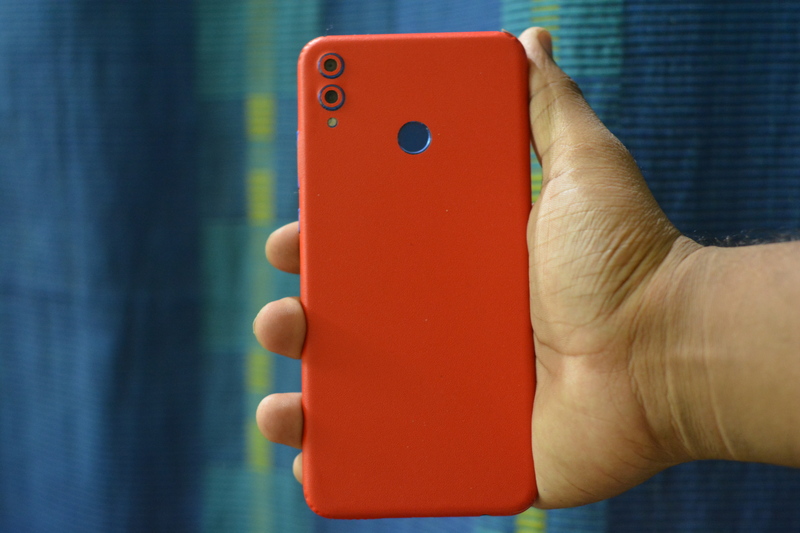 There were issues with camera performance, slow charging, display contrast and more. Honor 8X Update addressed some of the issues, but not all with an update that included November Security Patch. Today, Honor has released a new JSN L42-8.2.0.160 Update for Honor 8X Smartphone. Let us see what is new and the improvements in Honor 8X 8.2.0.160 Update. The new and latest OTA update for Honor 8X takes the build number to JSN L42-8.2.0.160. 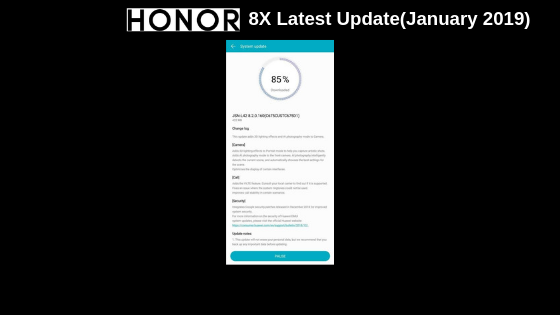 Unlike the last update which didn’t focus much on the camera performance, the latest 8.2.0.160 Update for Honor 8X brings some changes to the camera. Apart from improvements to the camera, the latest update also adds ViLTE support along with Native Video Calling and brings December Security Patch too. The latest update adds 3D lightning effects to the camera app. Adds AI Portrait Mode to Front facing camera. AI mode intelligently detects the current scene and automatically applies the optimal and best settings. Adds ViLTE feature. Honor 8X will now support Native Video Calling. Users can directly make a video call from the default dialer app. With the latest update, Honor 8X becomes the first Honor smartphone to support Native Video Calling. One of the biggest complaints with Honor 8X users was the inconsistent camera performance. The camera tends to overexpose the images and the saturation level goes haywire. Also, there is no support for EIS on Honor 8X still. We hope that Honor would have addressed the issues related to the camera performance and the latest update for Honor 8X will improve the camera performance. The update is rolling out in batches and all Honor 8X users will receive the update soon. We will test the latest update and come with our review soon. Stay tuned!